Mường Hoa Valley, Hầu Thào Commune lies eight kilometres southeast of Sa Pa Town. Visitors get to the beautiful valley after crossing a high mountain pass. The northwest mountainous area is famous for its extraordinary and poetic beauty, which changes with every season of the year. 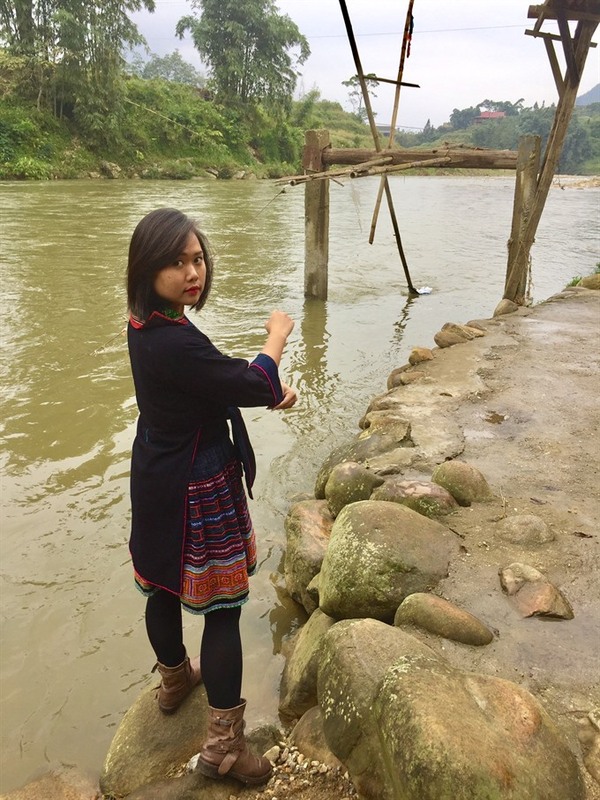 For Sa Pa lovers, Mường Hoa Valley is especially delightful. It is beautiful during both the new rice and harvest seasons thanks to the unique terraced fields. Tourists have enjoyed taking a mid-mountain hike to treat themselves to this spectacular view. However, the best way to enjoy this unique specialty of the town in fog is to view it from above, choosing a mid-mountain spot to appreciate this magical green trail. Launched on March 31, 2018, the Mường Hoa mountain railway, connecting Sa Pa Town with the Fansipan cable car station, has truly enriched tourists’ experiences. With the total length of approximately two kilometres, this is one of the longest mountain railways of Việt Nam. It travels through two tunnels and four viaducts. September is rice harvest season. Viewed from the train, Mường Hoa Valley is a magnificent picture of nature, a perfect arts masterpiece by the earth and human beings. At different times of the day, Mường Hoa Valley displays a distinctive beauty. In the honey-coloured early morning sun, the Valley is full of vitality, freshness and radiance. It is refreshing to see Mường Hoa at sunset. At dusk, blue smoke from humble houses blends with drifting clouds, making the autumn picture more dreamlike. In September, when the bright yellow colour of ripening rice is everywhere, Mường Hoa becomes more beautiful thanks to the combination of green forests and ivory-white clouds. Along the slope of the mountain are small, peaceful and poetic houses. What makes Mường Hoa more special than other places is that the terraced fields in the valley result from the combination of the water rice planting technique in the narrow valley terrain of the Giáy people and ground-breaking techniques on the high mountains of the Mông and Dao peoples. There is a lovely 15-km long stream in Mường Hoa, passing Lao Chải, Tả Van, Hầu Thào and Bản Hồ communes. Mường Hoa Stream is the lower section of the famous waterfall called Bạc Waterfall. Twenty-two streams running from forests and mountain creeks join together to make Mường Hoa Stream and its lively flow. To cross the stream, people living along the banks built rattan bridges. The bridges add to the beauty of the valley and attract a lot of tourists who wish to take unique photos. In this place, along the mountain lies an area with strange carved stones. The area is four kilometres long and two kilometres wide and contains at least 159 stones with mysterious images. The area used to be the working site of numerous scientists from Việt Nam, Russia, France and Australia. The ancient area has stones with beautiful carvings, mostly in Bản Phố. Some big stones are carved with different images, particularly images of human beings in many positions: some stretching their arms with light rays from above their heads, others holding hands or standing upside down. Some depict couples with connected sexual organs like the symbol of reproduction worship on the Đông Sơn drum. Looking closely, we can find up to 11 types of strange images of human beings here. Most scientists have concluded that this is a great heritage of mankind. It not only possesses fine-arts values but also contains spiritual meaning. It is like a mysterious message sent by the forefathers to their future descendants. It is also one of the appealing tourist attractions of Sa Pa.